HTC's on again, off again smartwatch to launch before April ends? Rumors of an HTC smartwatch have been around for a long time. In July 2014, tipster Evan Blass disseminated an image of what he said was HTC's intelligenmt timepiece. Two months later, HTC killed the project. Four months after putting its smartphone into a pine box, HTC apparently changed its mind. And last December, there was talk about the device being released this month. And that brings us to the present. Evan Blass has recently sent out a tweet stating that the HTC smartwatch will be available for purchase before the end of April. Blass calls it a small consolation prize for HTC fans after leaked images of the HTC One M10 failed to excite the masses. 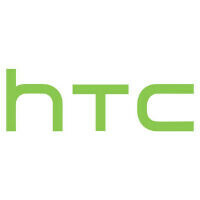 The HTC smartwatch will reportedly feature a circular design and be powered by Android Wear. Back in September, we passed along the rumor that the device had been given the code name Halfbeak, after the fish. Most Android Wear watches are given a fish-related code name. We have seen so many rumors about an HTC smartwatch, not only about its existence, but also about its design. No disrespect to Mr. Blass, who has proven himself to be one of the more legitimate tipsters in the biz, but we would like to hear HTC itself make a statement about its smartwatch.